The Tiny Dragons program is structured to encourage the growing minds of children. Students develop discipline, gross motor, and communication skills. Classes include number recognition, memory, and self-defense techniques. Children are taught strength, flexibility, coordination, and body control which enhance their self-confidence and ability to concentrate. The Lil Dragon program offers children a strong foundation in essential character qualities such as courtesy, respect, and discipline. Students will improve in motor skills and in their ability to concentrate and follow directions. 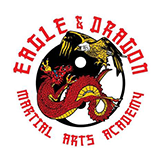 Our professionally developed martial arts program for children is designed to develop confidence and coordination in each student. Instructors provide individual attention and encouragement in a fun, positive atmosphere.